With the hustle and bustle of the holiday season (not to mention the often unpleasant weather), it’s easy to ignore your health and put off your workouts. Yet with a little planning ahead, who’s to say you can’t combine some seasonal tasks and gentle fitness? If you’re one of the millions who have a fitness tracker, so much the better – but you can also turn to the phone probably already in your purse or pocket to help keep you going. We offer some simple suggestions for staying in motion this holiday season, even when you’re at your busiest. Plan ahead: No one gets exercise shopping online. Plan to get out and hit some bricks-and-mortar stores in the real world. Whether you’re thinking an all-day shopping excursion or a shorter trip to the mall or store, wear the shoes you’d wear to hike or walk in normally. Don’t wear funky boots, heels, or other stylish (but impractical) footwear. Park farther out: Let’s face it, parking spots are tough to find this time of year. Parking at the end of the lot gives you extra distance and saves you time fighting traffic hoping for that mythical spot by the door. Take a water bottle: Don’t use your shopping as an excuse to eat and drink empty calories. Take along a water bottle so you won’t be tempted to stop for high-calorie beverages like soda and seasonal drinks. Pick up the pace: Want to get your heart rate up? Don’t mosey along like you have nowhere better to be – get moving! Walk faster and see how quickly you can get through the store or mall! Be sure to stay in the holiday spirit even if you’re moving faster than fellow shoppers. 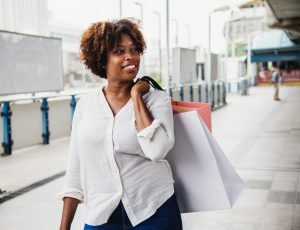 Use a fitness tracker: If you have a fitness tracker, set a goal and try to meet it with your shopping and errands for the day. If you don’t have a tracker, there are plenty of free pedometer apps you can download to your smartphone to get an idea of how much you’re moving! Most trackers recommend a daily goal of 10,000 steps – why not see what you can achieve? Walking can be an excellent option this holiday season for getting moving and staying active; the exception being if you have some physical limitations, mobility issues, pain, or problems that should be identified and addressed. If you are suffering from problems that make your mobility difficult, seeking qualified care through a physical therapist before beginning any walking program is ideal. A physical therapist is uniquely qualified with his/her training and understanding of the musculoskeletal system to identify and treat mobility, strength, range-of-motion, and other problems you may have. You don’t even have to see your doctor first: call a physical therapist for your initial appointment and they’ll work with your insurance and doctor’s office if a referral or more visits are necessary. You’ll receive an assessment and custom treatment tailored to your ability, goals, and lifestyle – to get you back on track and moving (literally) in the right direction! If you’re feeling stuck and need help with motion, mobility, pain, and more, Body One Physical Therapy is here to help. Our team of caring, dedicated, and highly-trained physical therapists is ready to help get you moving again. 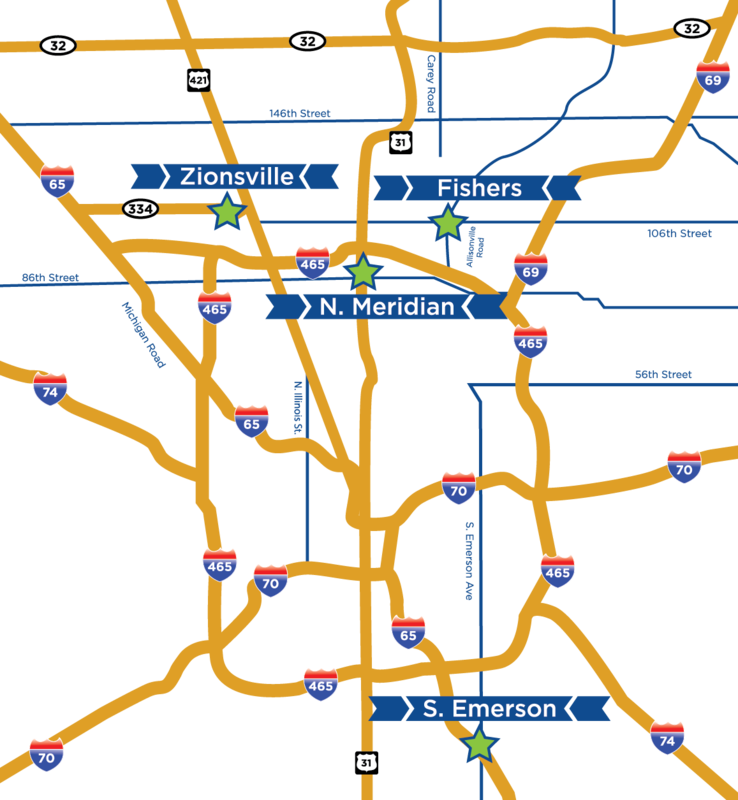 We’re locally-owned and operated, with four locations serving Central Indiana: North Indianapolis, South Indianapolis, Fishers, and Zionsville. Don’t waste another day living in pain and with movement problems; let Body One get you moving in the right direction. Call today for your initial appointment!